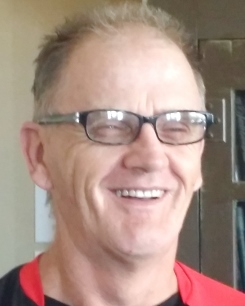 Ronald Dwaine Greer, 59 of Nampa, went to be with his Lord on August 3, 2018, in Meridian, Idaho. Ron was born to Bob and June Greer in Elkhorn, Wisconsin, where Ron's father was stationed in the military. Ron attended schools in Caldwell, Nampa, and Kuna where he graduated with the Class of 1977. Ron loved gardening! His flowers were grown with a "green thumb" and his family members treasure their trees that were gifts from Ron. Ron is survived by his son, Ronson Wagner of Emmett; his mother, June Greer of Nampa; sisters, Deborah (Chuck) Cameron and Rhonda (Jerry) McGoldrick, all of Caldwell; and many nieces and nephews. Ron was preceded in death by his father, Bob Greer.